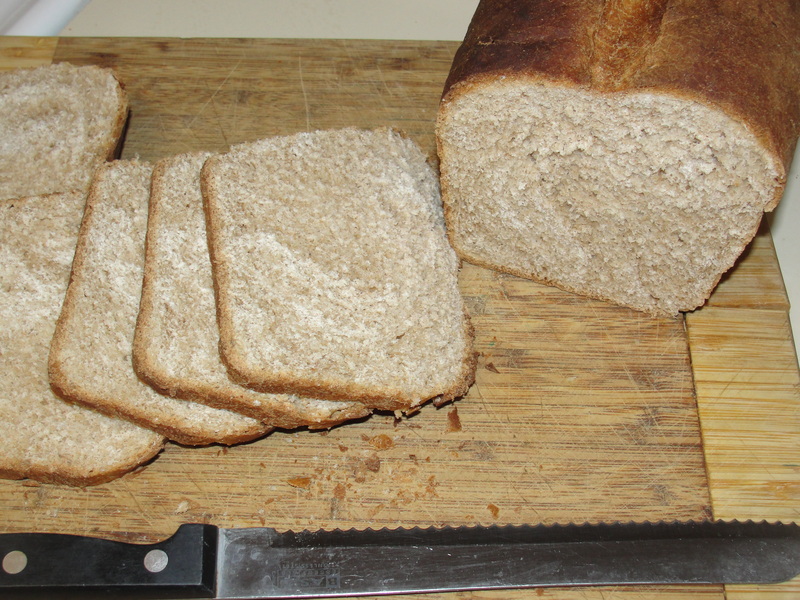 This recipe, from Budget Bytes, makes wonderfully fluffy, moist, and delicious sandwich bread. Serve it toasted for breakfast with some yummy cinnamon honey butter. Heck, just eat a slice when it’s still warm from baking in the oven. It’s addicting. It’s also cheaper, and tastier than it’s mass-produced counterparts. And the piece de resistance… it only costs about $1.34 per loaf, which breaks down to about 11 cents a slice! What better sandwich is there than the one that leaves both your stomach and wallet full?! Combine the water, yeast, and honey. Stir to combine and allow to sit until it becomes foamy. It may take up to ten minutes because of the honey. Stir in the olive oil and salt. Stir in the 1 1/2 cups of wheat flour. Once that’s mixed in add the all-purpose flour, 1/2 cup at a time, until you can no longer stir it with a spoon. Turn the ball of dough out onto a floured surface and knead in the rest of the all purpose flour. Keep adding flour until you have a soft, elastic but not sticky ball. Knead for about 3 minutes. Loosely cover the ball of dough and let rise until it’s doubled in size, about 45 minutes. Shape the dough into the log about the length of your loaf pan. Coat the bread pan with non-stick spray or oil and place the dough inside. Allow the dough to rise again until doubled inside, about 45 minutes. Cut a long slit in the top of the dough to allow for expansion during cooking ( a serrated blade makes the smoothest cut). Preheat oven to 425 degrees. Bake the bread for 30 minutes, or until a deep golden brown on top. Remove the bread from the pan, transfer to a wire rack, and allow to cool before slicing*. *To make slicing easier, and to create prettier, more uniform slices, turn the bread loaf upside down before cutting. 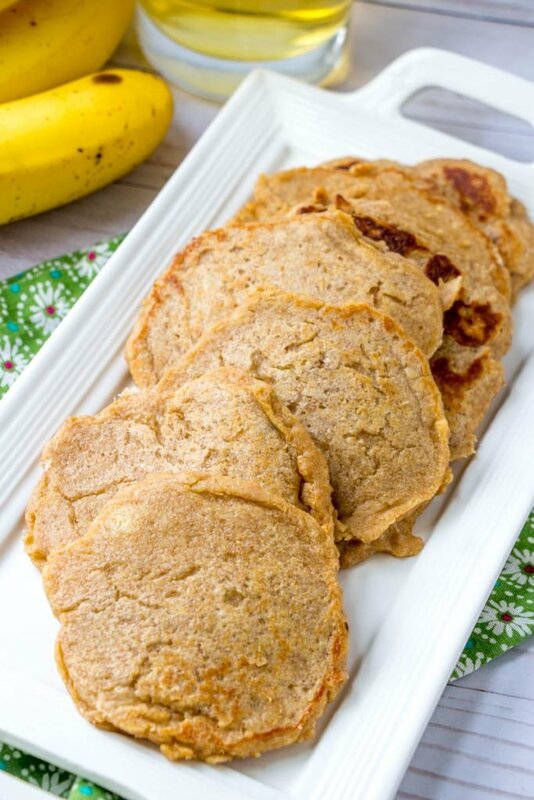 A healthy breakfast or snack, these easy Baby Cereal Pancakes make use of common baby foods that often end up going to waste. They’re a perfect first food, or finger food, for hungry babies & toddlers. Something you can feel good about serving, and something they’ll love eating!